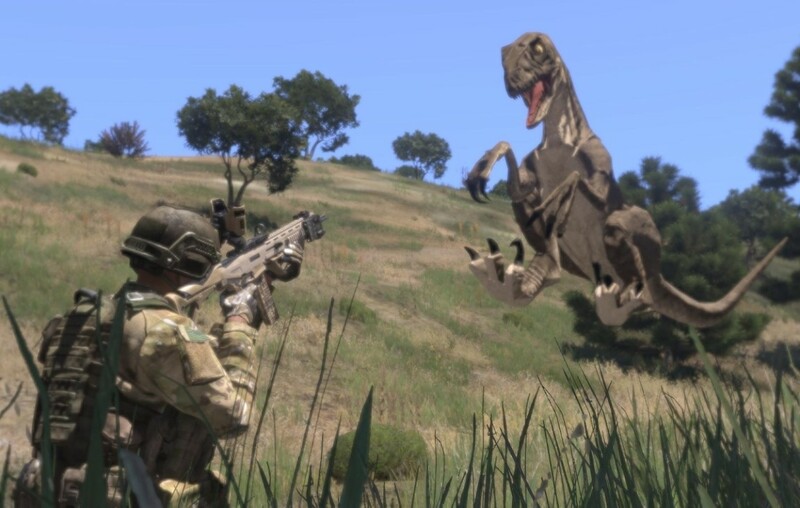 this addon adds a fully functional velociraptor to arma 3. it can be controlled by both the player and a custom made AI routine. 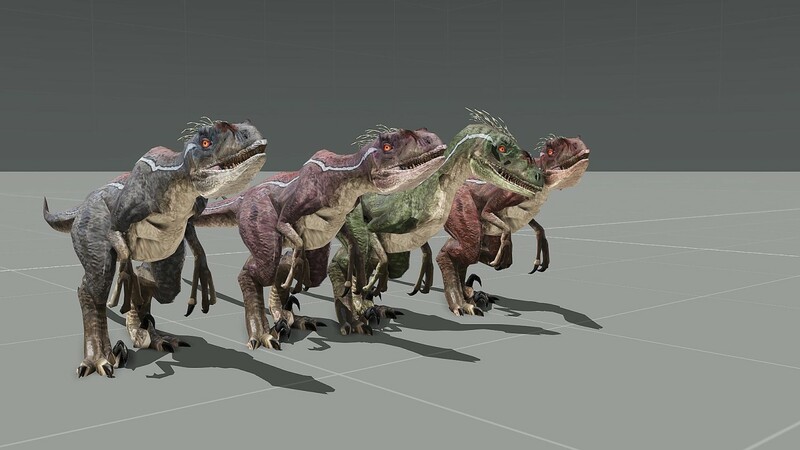 there is a male and a female version of the raptor and several texture variants for each of them. the raptors have two types of attacks. the standard claw/bite attack: this will do a certain amount of damage on each strike. and the jump attack: this will, if aimed successfully, make the raptor pin down its victim and maul him to death unless the raptor gets killed in the process. in addition to that the raptors are able to jump. the jump will take into account how fast you are moving when it's triggered and the direction you are looking at (both horizontal and vertical). 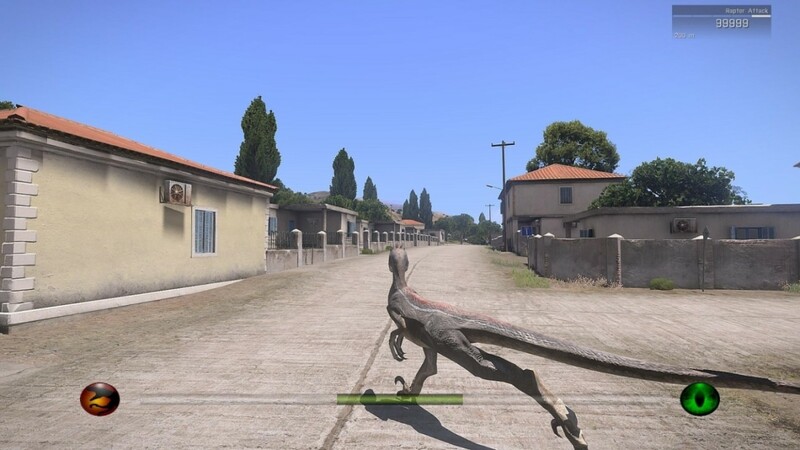 when the raptors are controlled by a player they have a simple HUD that shows the most important info. 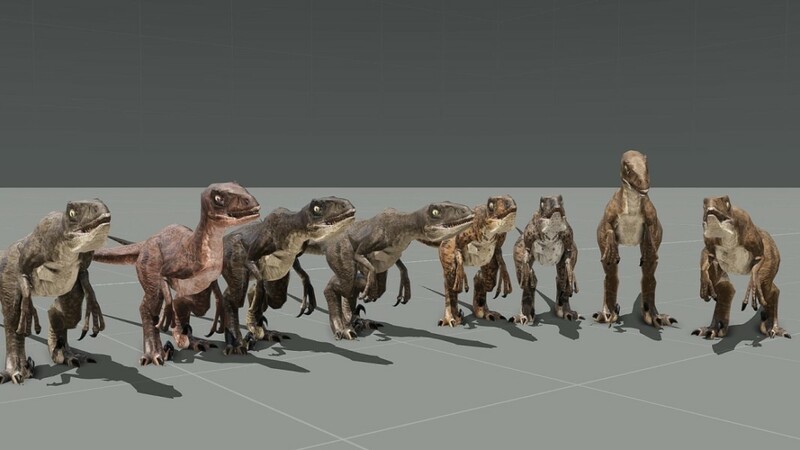 the current attack (left), the amount of health the raptor has (right) and the amount of fatigue the raptor is currently suffering from. fatigue, as for humans, has to be managed for the raptor too. every attack, jump and sprint will cost stamina. the raptor AI routine consists of a basic detection system, an attack routine and an idle mode. detection is based on distance, line of sight and field of view.